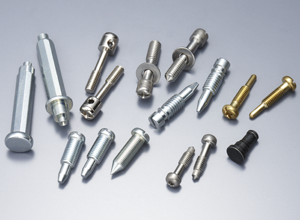 We produce not only screws but also precision screw, special pins, rivets and wire forming products. We provide them to precision machine, interior goods, stationery and more. 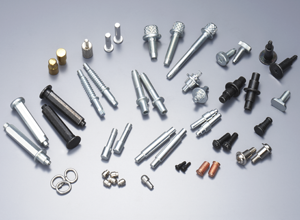 We produce variety of complicated design parts by cold-forming with secondary operation. We reward any kind of customer needs.